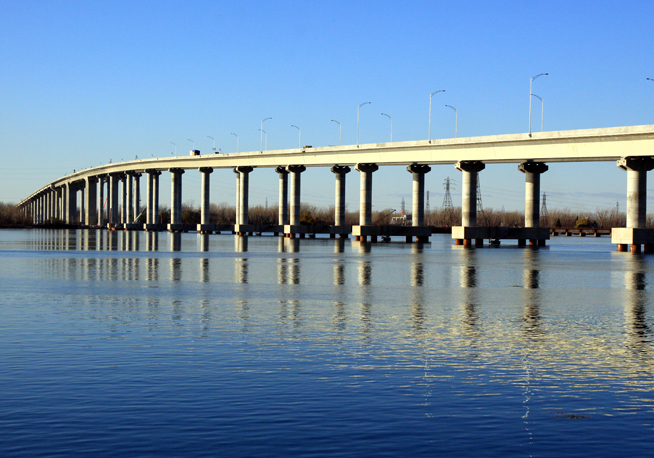 The new 42 kilometer A30 Express, which is tolled at the St. Lawrence Bridge, provides a convenient direct route for through-traffic between Toronto, western Ottawa and eastern Quebec City by avoiding the urban areas of Montreal Island. 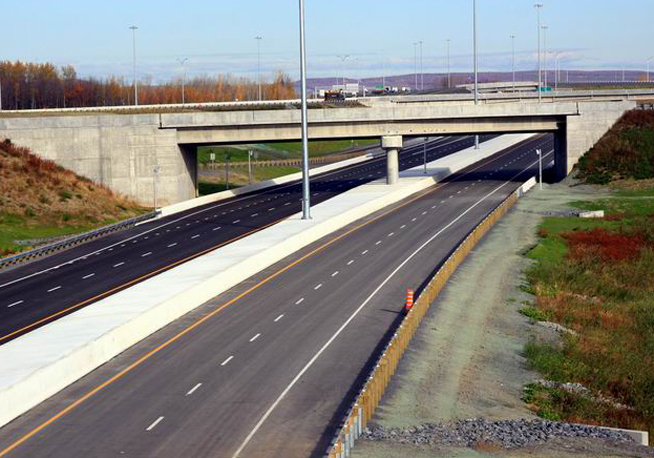 The new A30 Express toll road alleviates congestion in local routes through the city of Montreal, which improves the overall efficiency of the transportation system and reduces commuter travel time, thus avoiding excess CO2 emissions. 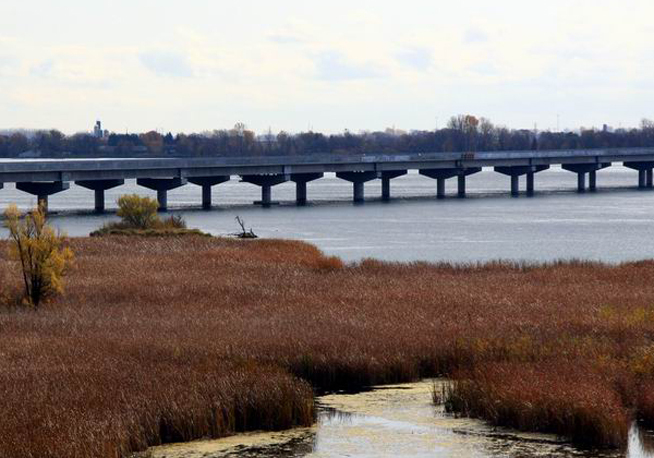 The highway will ultimately link the A20 and A540 routes from Toronto and Ottawa, where they converge at Vaudreuil-Dorion, Quebec. 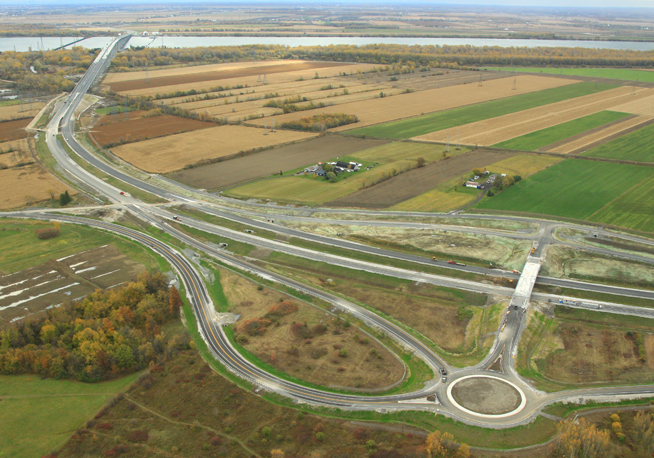 The new A30 routes traffic along the south shore of the St. Lawrence River, tying into the existing A30 at Chateauguay leading to Quebec City. After thorough collaboration with local, provincial and federal authorities, a clear project objective was aligned, taking necessary measures to make the least impact on the surrounding environment, including wildlife, landscape, communities and drivers. 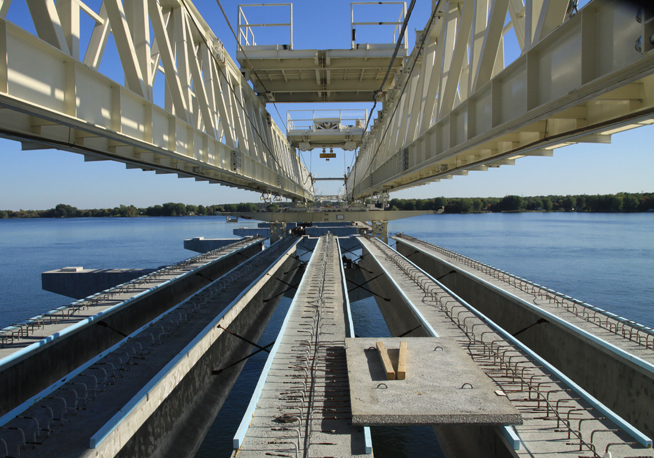 ACCIONA Infrastructures executed the project through sustainable engineering and construction practices that considered all economic, environmental and social aspects of the development. ACCIONA remains vested in the project after construction, managing and providing long-term maintenance and repair for the next 31 years. 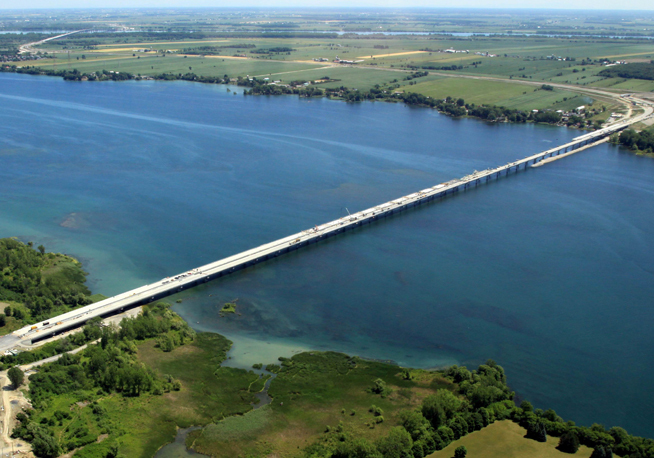 ACCIONA thrives on undertaking challenges with the focus of providing a sustainable solution, and the new A30 toll road was one of the largest single projects in Canada. 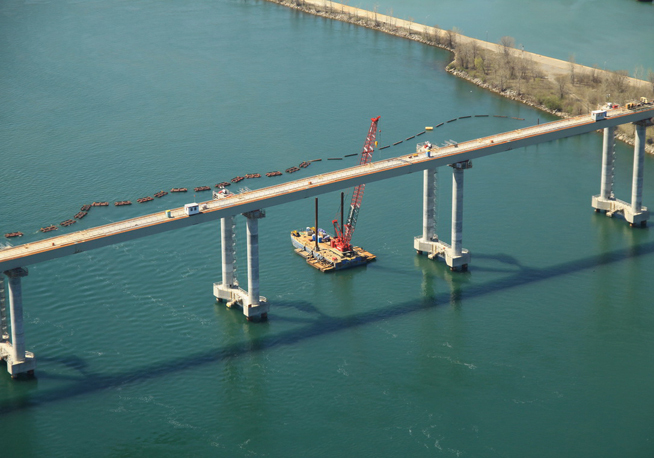 This particular project included the construction of a 42-kilometer, dual two-lane highway, comprised of two large bridges crossing the St. Lawrence River (1,800 m long) and the St Lawrence Seaway/Beauharnois Canal (2400m long). 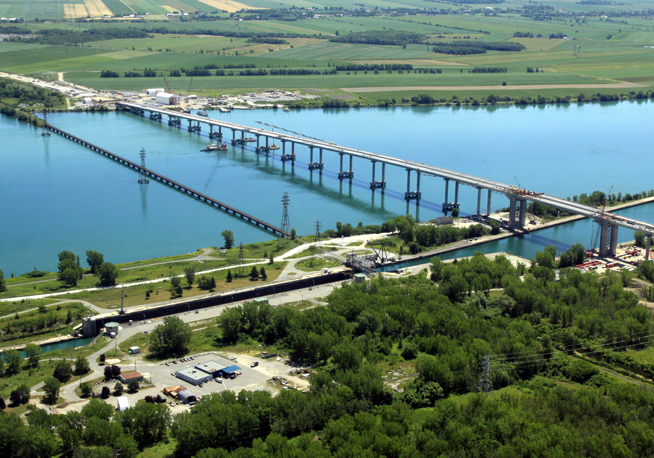 Other project features include 30 other bridge structures over rivers, existing roads and railways, as well as a short tunnel under a canal. The challenge of a project of this size and complexity, with high demands for environmental protection and quality of work resulting in a sustainable, easily maintainable highway, is exactly the type of project ACCIONA is proud to take on. 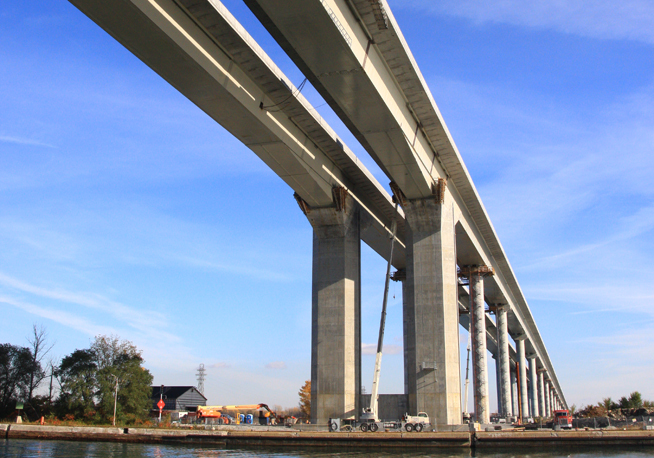 Infrastructure projects will always have an impact on the environment and will remain part of the new environment for many years after they are constructed. ACCIONA Infrastructures accepts the challenge of introducing a new and necessary infrastructure to the transportation framework by utilizing the most unobtrusive, aesthetically pleasing and sustainable practices in the industry. 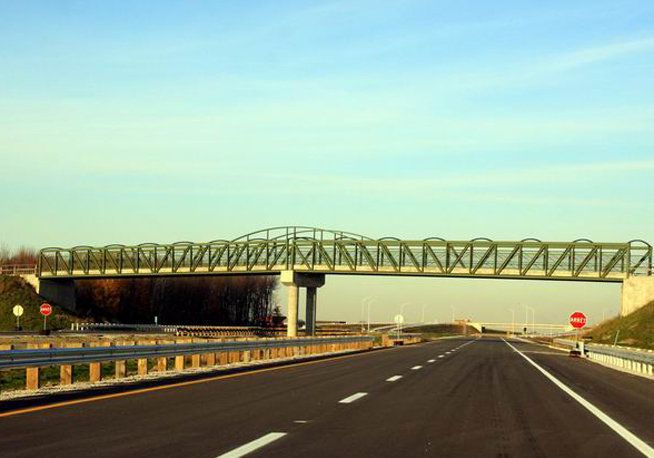 The A30 toll road will offer improved efficiency for the movement of people and goods, and local and regional economic growth through improved access to markets and the creation of nearly 19,000 direct and indirect jobs. 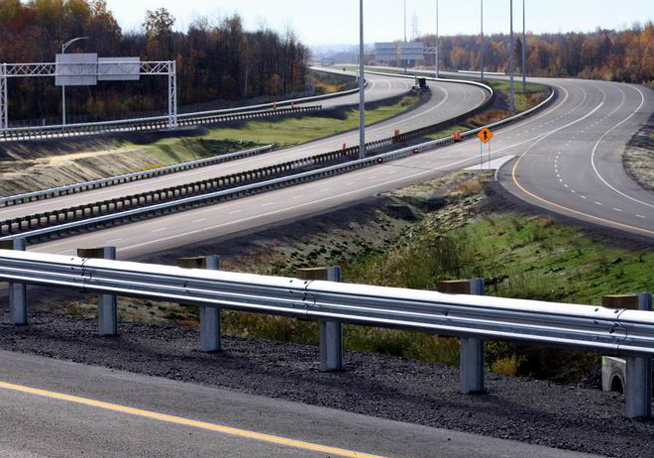 The completion of the new A30 toll road greatly alleviates congestion in the Greater Montreal Area, with a consequent reduction in air pollution. During construction, special attention was focused on waste reduction by reusing much of the existing material from excavation and using recycled materials in fills, aggregates and concrete. Implementing sustainable construction practices is beneficial from an economic and an environmental perspective, making it a practical and fundamental business decision for ACCIONA. This project was constructed with the highest regard to the environmental impact study, done in accordance with provincial regulations. The specific guidelines outlined in the environmental impact study required the project to be engineered and constructed following measures to minimize noise, dust and water contamination. Complying with these measures is essential to protect wildlife habitats, and ACCIONA works very closely with environmental and ecological consultants to ensure that impacts are minimized. To protect aquatic environments, we will employ the use of trestles or barges for river access and utilize screens to capture sediment in order to avoid disturbing fish in spawning areas. Where it is necessary to remove trees, we will avoid doing so in the spring to prevent disruption of nesting local birds. 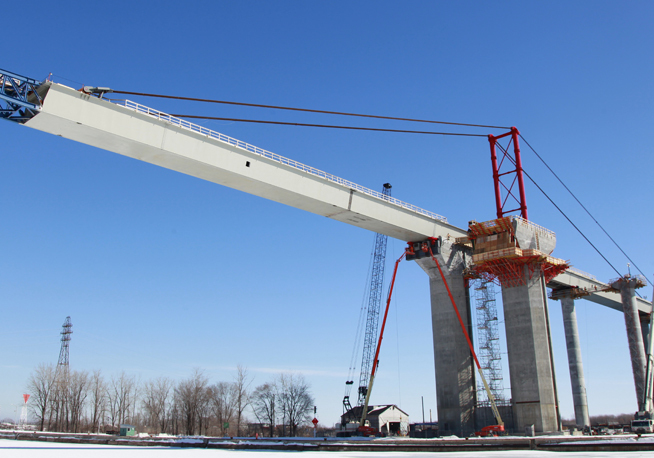 “This project will produce real results in the transportation sector that will bring real benefits to Canadians. This new southern bypass route will make it possible to develop markets in the metropolitan region and in the Montérégie, and will facilitate access to the markets of Ontario, the Maritimes and the United States. The reduction of road congestion in the Greater Montréal Area, and the resulting decrease in air pollution, constitutes a major focus of our strategy to improve the quality of the air that we breathe and to preserve the health of Canadians.” - Stephen Harper, Prime Minister of Canada.